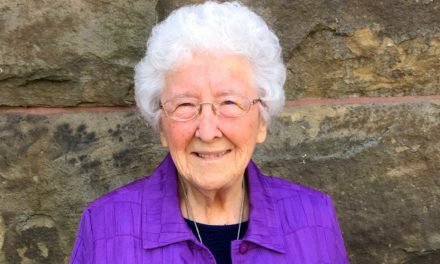 Sister Louise Dunn, co-founder of Serenity Renewal for Families in south Ottawa, will be invested into the Order of Ottawa on Nov. 17. 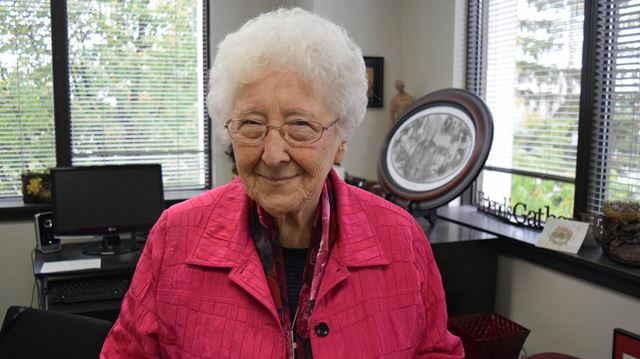 At 83, she continues to work as an addictions counsellor, providing counselling and support to people working toward a journey of recovery as well as their families. Cynthia O’Dwyer had already been making progress in her battle against alcoholism and drug addiction when she walked into Serenity Renewal for Families, a critical step that would help shape the rest of her life and the lives of her future children. “It was terrifying, but I was just so accepted there,” O’Dwyer said of meeting Serenity Renewal’s co-founders, Sister Louise Dunn and Alexa Smith, who is now retired. O’Dwyer, now 56, had just gone through the Royal Ottawa’s 10-day detox and 27-day residential programs in the late 1980s, but knew there was more work she needed to do in her recovery. The Serenity team and Dunn have made all the difference in O’Dwyer’s journey. “Louise just has a way of listening,” O’Dwyer said of Dunn, one of 15 people who will be inducted by Mayor Jim Watson into the prestigious Order of Ottawa at a city hall ceremony on Nov. 17. Acceptance is key, said Dunn, a Catholic nun who, at age 83, continues to work 40 hours a week as an addictions counsellor, providing a wide range of workshops at Serenity’s home base at 2255 St. Laurent Blvd. near Walkley Road. Serenity Renewal offers education and counselling for people affected by addictions and recognizes that the parents, children and spouses are often as badly damaged as the addict. The organization runs on a shoestring budget of about $220,000 a year. About $100,000 of that is covered by fees, but no client is turned away for lack of money. In its 33 years, Serenity Renewal has seen more than 100,000 people enrol and still works with 2,500 clients a year. It is staffed mostly by volunteers — many of them former clients — who give 12,000 hours a year to its programs. 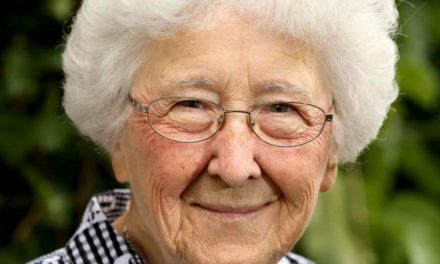 The youngest of a large Toronto family, Dunn decided to become a nun at the age of 18 and joined the Congregation of Notre Dame, a teaching order in Montreal. She eventually became vice-principal at St Patrick’s High School in Ottawa, where she noticed the impact of drugs and alcohol on her students. Dunn believed that “students always wanted to talk.” And she was good at listening. She had found her second career. O’Dwyer still had her walls up in her late 20s when she went to Serenity, when it was located in Herongate. She had already been struggling for years, having begun using alcohol and drugs at age 12. In many ways, she said she had to learn everything all over again — how to cope with anger, sadness and bitterness, how to learn to trust again. But the counselling sessions and workshops she has taken part in over the years have helped her grow and heal. O’Dwyer has been sober for 29 years. “It’s a privilege, is what I often say,” she said. Dunn co-founded Serenity in 1983 after she went back to school to earn her certification in addictions counselling. As a teacher at two Catholic high schools in Ottawa, she said more and more teens were coming to her with addiction issues. Since opening, Serenity has helped thousands of children, teens, adults and seniors. Every year, 2,500 people with addiction and mental-health issues come through the doors. It has also become known as a place where families of the addicted can receive a wide range of supports in their own journey — an underserviced need Dunn first recognized early on. O’Dwyer said Serenity’s team understands it’s not just about the addict. O’Dwyer went on to have two children, and as they grew up they too benefited from the various workshops Serenity provides for tots to teens. Family support is key. With it, Clare said an addicted person has a 50 per cent better chance of recovery than if they try to recover solo. But if a client doesn’t have that important network, the Serenity team helps fill that gap. “If there isn’t a family, we’ll provide you with the affirmation and support that you might be looking for,” Clare said. O’Dwyer will never forget the day Dunn came to the hospital after she gave birth to her first child. “They’re the family support that’s there when you need them — you just have to call,” she said. The progression that clients achieve is part of Dunn’s motivation, though she is the first to say that it’s not the work of miracles, but about a journey. Serenity has become highly regarded in the 12-step community for helping people rebuild their lives, some of whom have been battling addiction for years. It is also known to help fill the gaps in the system by offering a wide range of counselling and family supports, often free of charge to those unable to pay. “There’s nothing else like them,” said O’Dwyer, who has served as a Serenity board member. In addition to the upcoming Order of Ottawa investiture, Dunn was also recognized in September for her work by Ottawa’s recovery community at city hall during Recovery Day Ottawa. The event saw addiction and mental-health service agencies come together. In July, she was invited to meet with Prime Minister Justin Trudeau. Dunn takes it all in stride, choosing to live in each moment and to always remain grateful for her work and her friends and family, including her Serenity family of volunteers, staff, board members and clients. To learn more about Serenity Renewal’s programs, visit www.serenityrenewal.ca, email info@serenityrenewal.ca or call 613-523-5143. Originally Published in Metroland’s Ottawa South News on November 14, 2016.